Lady Luck Media Ltd is a website production company which helps new entrepreneurs to create fantastic looking websites which also convert well. The limited company was formed in 2004 but it has been operating as a sole trader since 2001. The founder, Eddie Yu has been working in business since 1997, starting out in British Aerospace and moving on to various financial software companies based in The City of London. Since the start, Lady Luck Media Ltd has generated over £6m of revenue for clients using various internet marketing strategies. Lady Luck Media Ltd has developed into a company that specialises in building incredible looking websites which are highly ranked in search engines and convert leads into sales extremely well. This expertise has been developed within the company over many years of providing successful website solutions in several different industries. The company was originally focused on just website development and graphic design, however, as more experience was gained, one of the core strengths that we developed was being able to understand search engines at an advanced level, which meant we could deliver high rankings with ease. From 2011, Lady Luck Media decided to focus entirely on what we are best at doing, which is producing incredible websites which give customers and website owners the wow factor, leaving them proud to own the site and looking forward to driving traffic and revenues through it. Our mission at Lady Luck Media is to become the number one website production company in the world by providing high quality, highly effective websites that get found. Eddie Yu is the author of "Speedlights & Elephants: Winning the Online Business Game" which describes his journey through online business and he shares how he created six figure online businesses from scratch. 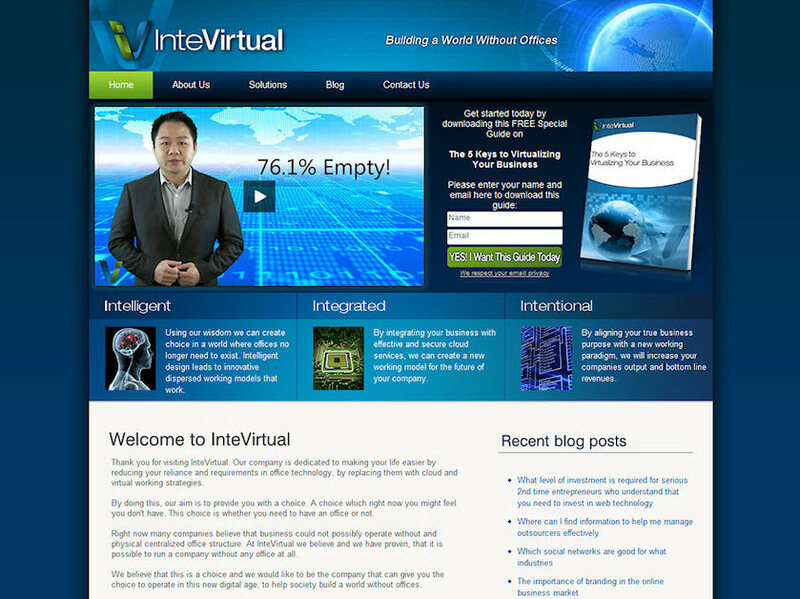 This site blends brand with blog, bringing social media into the corporate mix.